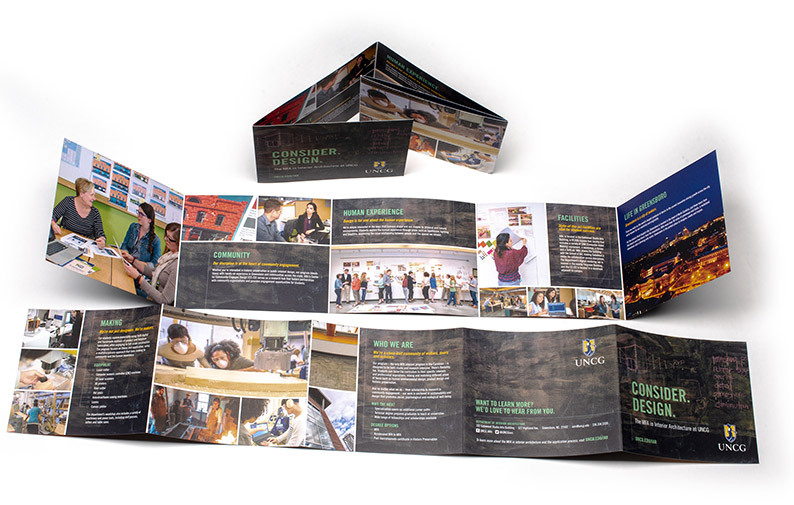 View samples of our work. Contact us for assistance with your project. 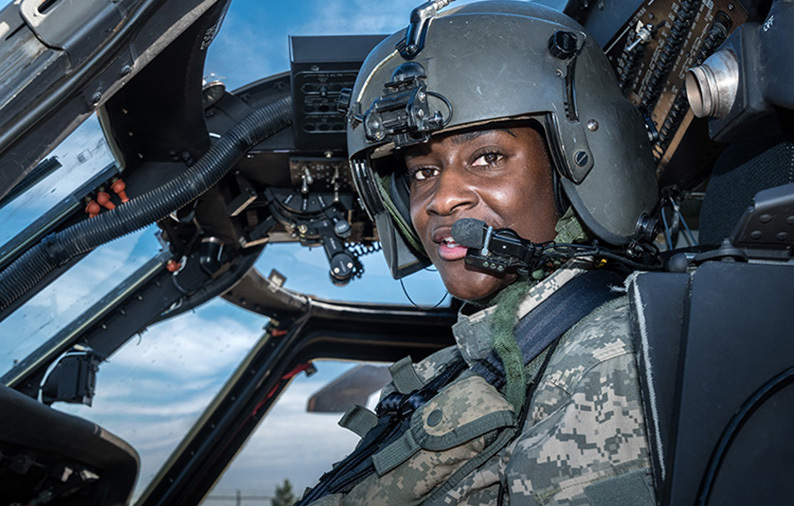 Our team specializes in editorial, marketing, and documentary still and motion photography, to create the visual assets needed to share our brand story. 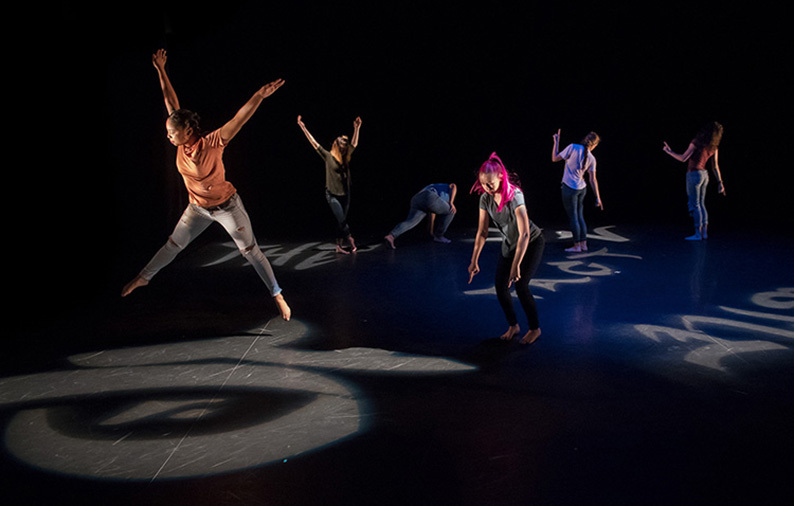 Theatrical Photography of dancers from UNCG Dance event. Editorial Portrait of Ivana Bogdan, '17 for a UNCG Now feature story. Editorial portrait of Lindsay Jeffries for a UNCG Now feature story. Check out samples of our videography work. 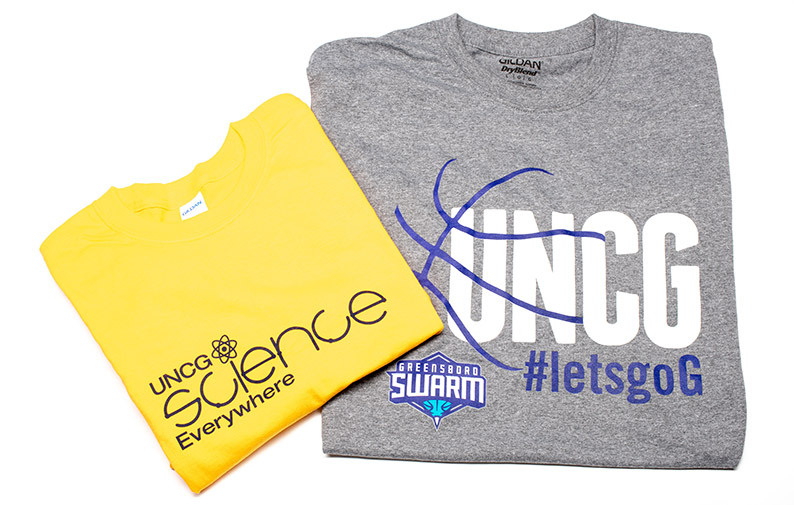 It's Our Time: UNCG is ready for March Madness! Thanks to the fans who supported UNCG men’s basketball over the years as it worked its way to another Southern Conference championship title and a spot in the NCAA Tournament. 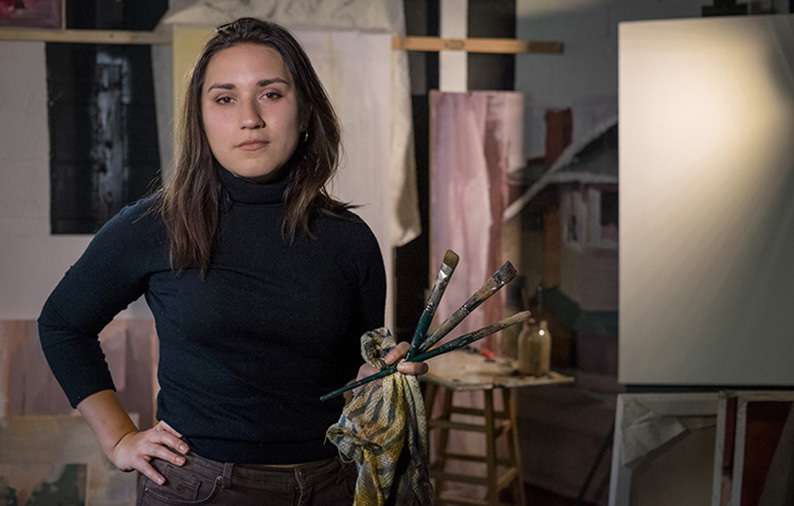 Ivana Bogdan, a painting and art history double major, graduating Dec. 8, 2017, shares her experiences at UNCG and her advice for new students. UNC Greensboro’s labor and delivery simulation lab is remarkably realistic, thanks to the School of Nursing’s investment in state-of-the-art SimMom and SimBaby technology. 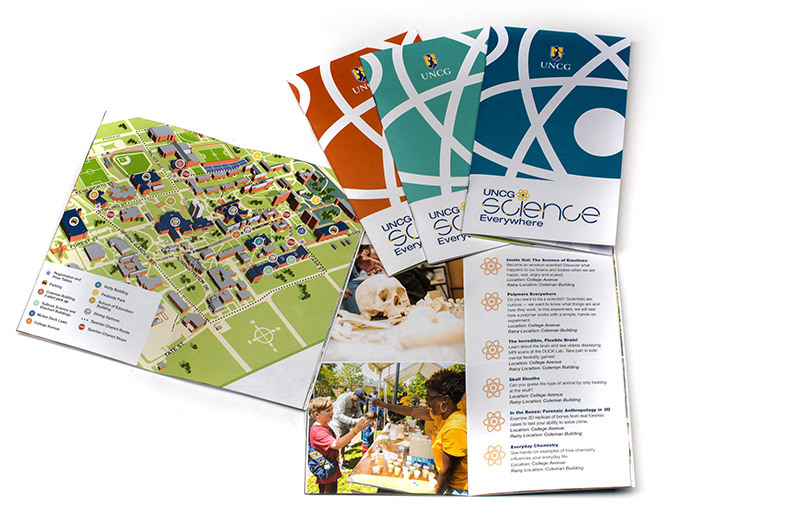 We produce a range of graphic design items, including publication layouts, brochures, banners, billboards, t-shirts, and ads to promote UNCG and it’s programs. 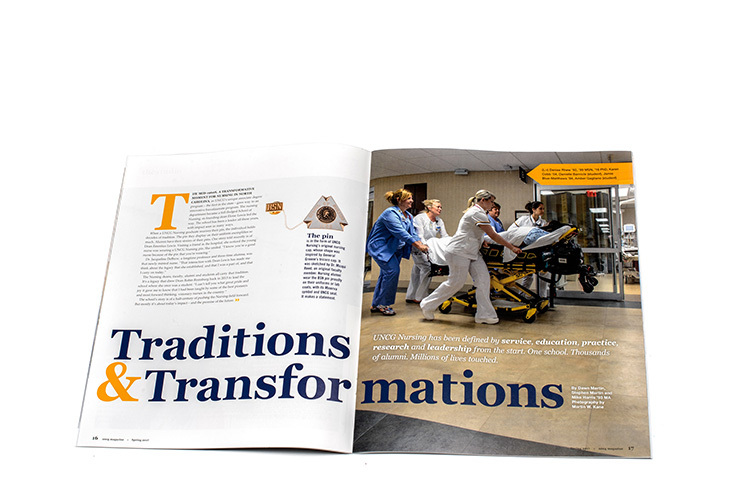 The special Fall 2017 issue of UNCG Magazine celebrated 125 years of opportunity, and excellence. It was rich in visuals, such as this pull-out aerial view of Foust Building. The masthead used a golden-shade metallic ink. The inset featured a poem by Fred Chappell. UNCG Nursing marked 50 years of impact. 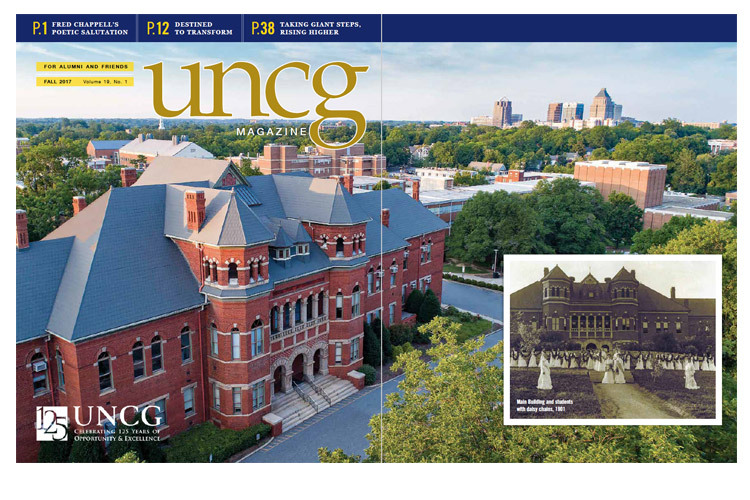 UNCG Magazine shined a spotlight on the school’s history, its professors and particularly its alumni making a difference across the nation. Dean Remsberg looked to the next 50 years. 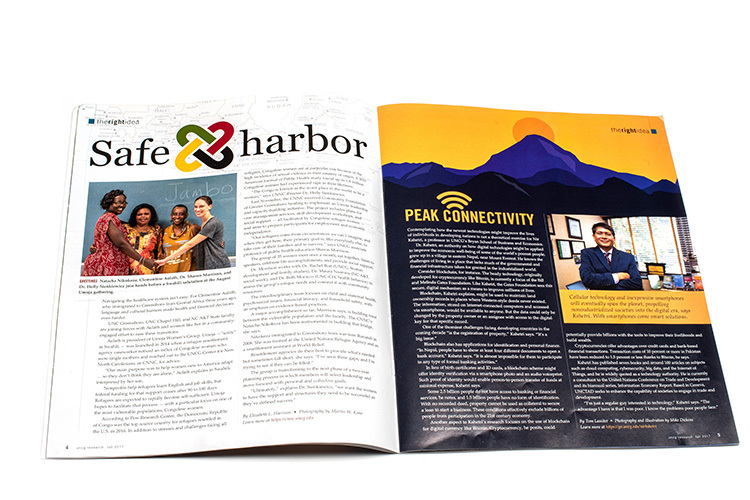 Whether it’s one-page article such as “Safe Harbor – about the UNCG faculty collaborating to help ease immigrants’ transition to American – or one-paragraph items or 10 page features, the reader wants an experience. 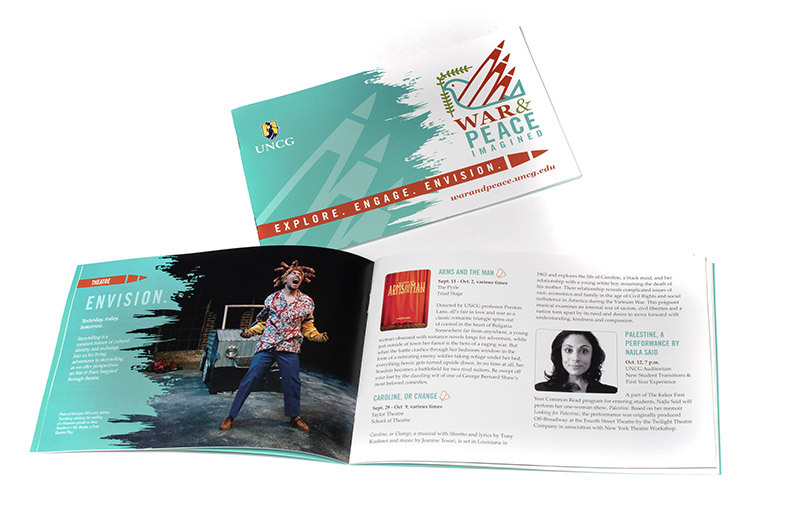 A tale told with verve and clarity, enhanced with engaging photography and design, makes for an impactful piece.